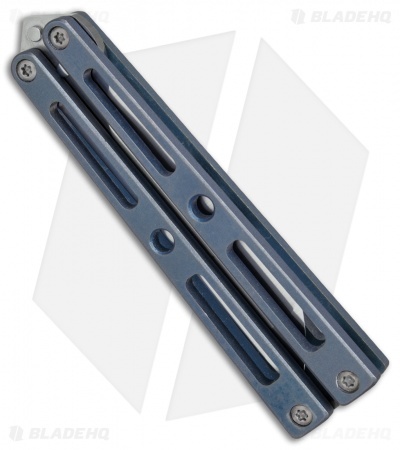 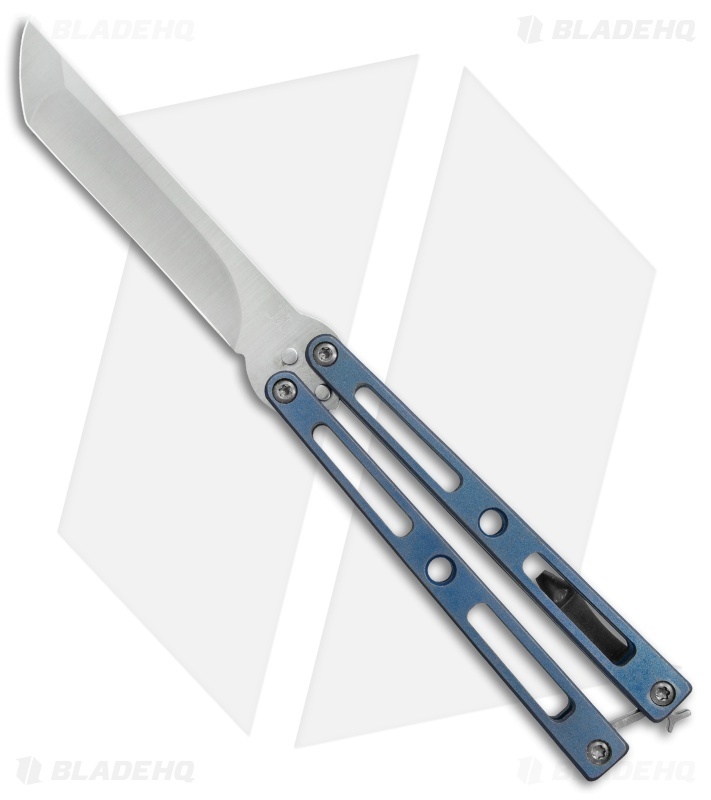 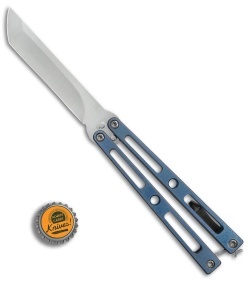 This VMX Butterfly knife sports a blue/bronze stonewashed titanium handle and a satin finished tanto blade. Kyle Vallotton and Maverick customs have joined forces to bring you the impressive VMX series of production balisong knives. This model is outfitted with skeletonized titanium handles, a CPM154 steel blade, and titanium hardware. Vallotton's balisong prowess and Maverick Customs machining expertise blend perfectly to create a unique design that will make a great addition to any balisong collection. Skeletonized titanium handles, hardware, and pocket clip offer a strong, dependable build. Compound grind blade made from CPM-154 steel for improved strength and edge retention. Bronze phosphorus washers provide smooth flipping action.